What Is the Scope of the Standard? 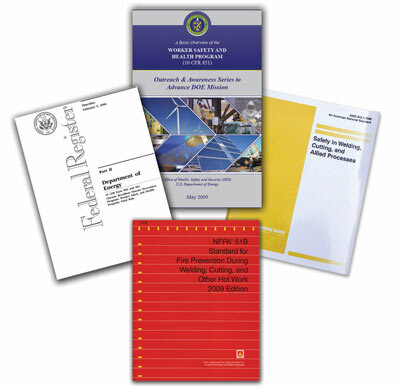 NFPA 51B provides provisions to prevent loss of life and property from fire or explosion as a result of hot work. What other organizations now look to NFPA 51B as the recognized standard for hot work practices? What are Some of the Requirements in the 2014 Edition? 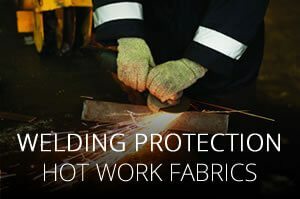 How does the Standard Define Welding Blankets, Curtains and Pads? 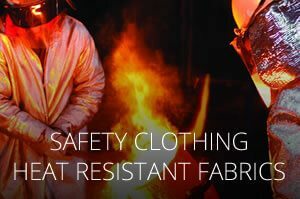 Welding Blanket — A heat-resistant fabric listed, approved, and designed to be placed in the vicinity of a hot work operation. Intended for use in horizontal applications with light to moderate exposures such as that resulting from chipping, grinding, heat treating, sand blasting and light horizontal welding. 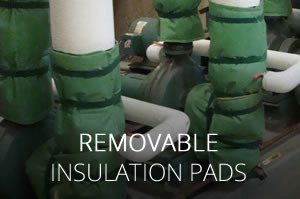 Designed to protect machinery and prevent ignition of combustibles such as wood that are located adjacent to the underside of the blanket. Welding Curtain — A heat-resistant fabric listed, approved, and designed to be placed in the vicinity of a hot work operation. Intended for use in vertical applications with light to moderate exposures such as that resulting from chipping, grinding, heat treating, sand blasting, and light horizontal welding. Designed to prevent sparks from escaping a confined area. Welding Pad — A heat-resistant fabric listed, approved, and designed to be placed directly under a hot work operation such as welding or cutting. Intended for use in horizontal applications with severe exposures such as that resulting from molten substances or heavy horizontal welding. Designed to prevent the ignition of combustibles that are located adjacent to the underside of the pad. What does the Standard Say about Contractors’ Responsibility for Hot Work? What are Some of the Conditions that Require “Listed or Approved” Materials Before a Hot Work Permit is Issued? “All combustibles shall be relocated at least 35 ft (11 m) in all directions from the work site, and the following criteria also shall be met:If relocation is impractical, combustibles shall be protected by a listed or approved welding curtain, welding blanket, welding pad, or equivalent. 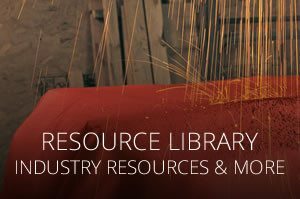 What is the Requirement for Listed or Approved Materials on a Hot Work Permit? Other combustible storage material removed or covered with listed or approved materials (welding pads, blankets, or curtains; fire-resistive tarpaulins), metal shield, or noncombustible materials. 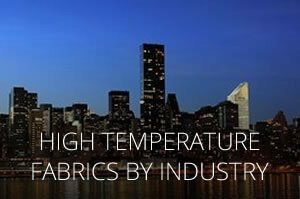 Why is using Certified Fabrics Important? In order for welding blankets, curtains, and pads to meet ANSI/FM 4950 they must undergo and pass stringent third party testing, certification and ongoing audit procedures, and meet the conditions for safety, performance and quality. In addition, manufacturers must maintain a quality control program and submit to manufacturing facility inspections as part of the Approval process. ANSI Z49.1 “Safety in Welding, Cutting and Allied Processes”, section 4.3 and E4.3 (1999). These sections deal with Protective Clothing and PPE. result of hot work, including welding curtains, blankets and pads, as explained on front. 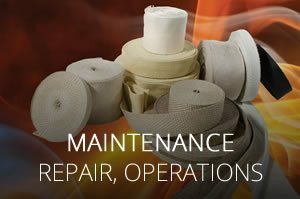 We were the first manufacturer to achieve FM Approved status of hot work fabrics, and have maintained Approval status since 2004, including annual audits and inspections. 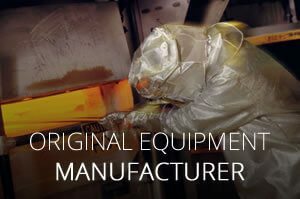 AMI is a U.S. manufacturer and uses domestically sourced materials. We are able to certify to the requirements of the Berry Amendment, often requested in government-funded projects. We are currently under contract with DoD to supply welding fabrics to U.S. Naval Shipyards. AMI fabrics exceed FM Approved requirements with continuous printing of “FM Approved” and the Performance Rating (Curtain, Blanket or Pad) throughout the rolls for easy ID on the job. This addition was driven by a DOE request. AMI is a small, woman-owned business, and is certified as such by WBENC.